In one of my earlier articles we looked at some of the best foods for bodybuilders and fitness enthusiast to use for getting lean. You can find the article by clicking here. This time we are going to do the opposite and look at some of the best foods they can use for bulking up. We are going to once again break the foods down into categories. We will look at best meat, best fish, best vegetables, best fruits, best carbs, best drink, and finally best supplements. The one distinction I want to make about mass gaining is it is about adding quality nutrition to your diet to add size for muscle building. It is not about eating a plethora of excess calories just to add bodyweight to a person’s frame. By using this method it is much easier to add an excess amount of fat to ones body. While you will gain bodyweight by this method, eventually it will just end up being excess bodyfat that you will have to burn off in a future date. If you eat more calories than your body can use, you pack on fat and not muscle. Even when eating a surplus of calories your nutrition should still be based around quality nutrition first with a few indulges here and there. If turkey meat equals lean then quality beef equals mass gain. You want a meat that gives quality protein but also packs a high quality punch look no further than beef. A lot of bodybuilders and fitness buffs shy away from beef because they are afraid of the higher fat content. When try to build mass however, two major components are needed- protein and calories. 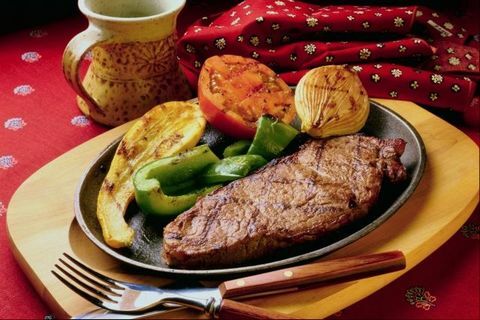 Beef supplies plenty of protein and because of the higher fat amounts it also supplies plenty of calories. Not to mention fat is very good for hormonal production when trying to add muscle mass. Red meat also supplies an abundance of creatine, heme-iron, and B vitamins, all vital parts of muscle building. You still want to gear your red meat eating towards leaner cuts of beef like flank, eye round steaks, and 95% lean ground beef. When wanting a good tasty fish for mass gaining, Salmon is your go to fish. Because salmon is a fattier fish, it offers similar benefits that protein meats higher in fat offer. 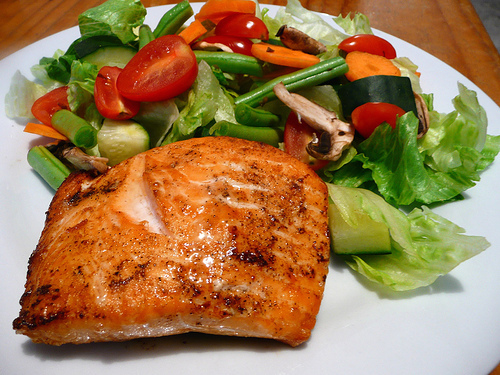 For salmon though, it’s not just that it is higher in fat but the type of fat it gives you. Salmon is loaded with omega-3 fatty acids. Omega-3’s provide tons of benefits while dieting but also are great for mass gaining. Omega-3’s have been shown to help fight inflammation. This is a huge plus when trying to move heavier weights for building muscle when bulking up. Omega 3’s are also muscle sparing which slows muscle breakdown from heavy training. When it comes to being “large and in charge” your veggie of choice should be the potato. Yes a potato is a starch but it still is a vegetable. 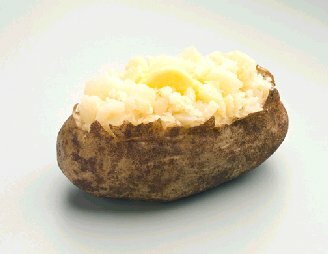 Potaotes pack a ton of carbohydrates for muscle building at a very cheap price. You can grab 10 pounds of potatoes for under $5 in most cases. Potatoes are also virtually hassle free to make and very versitle. Wrap a few in tin foil, stick them in the oven for an hour or so and boom baked potatoes!!! You can also make boiled potatoes, diced potatoes, mashed potatoes, and French Fries. My pick for best fitness fruit may jus be a little bit different than what you may typically expect to here. No I am not going with the standard apple, banana, or even pear. My choice for the best fruit for fitness buffs and bodybuilders trying to gain weight is papaya. Papaya is great because it is loaded with phyto-nutrients and vitamins. Papaya is also loaded with enzymes that are great for the body. 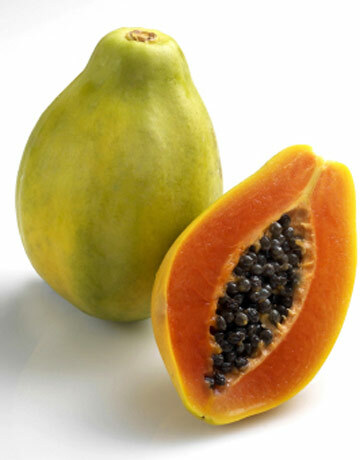 Papaya enzymes contain high concentrations of papain. Papain is a protein digesting enzyme that quickly breaks down the protein in foods. When trying to bulk up and add more quality muscle to your frame, more protein will be key. The more efficiently your body can break down that protein and use it, the more effective it will be for your mass building goals. Papaya also gives you a pretty good amount of fiber per serving. One cup of chopped up papaya will give you roughly 3 grams of fiber. 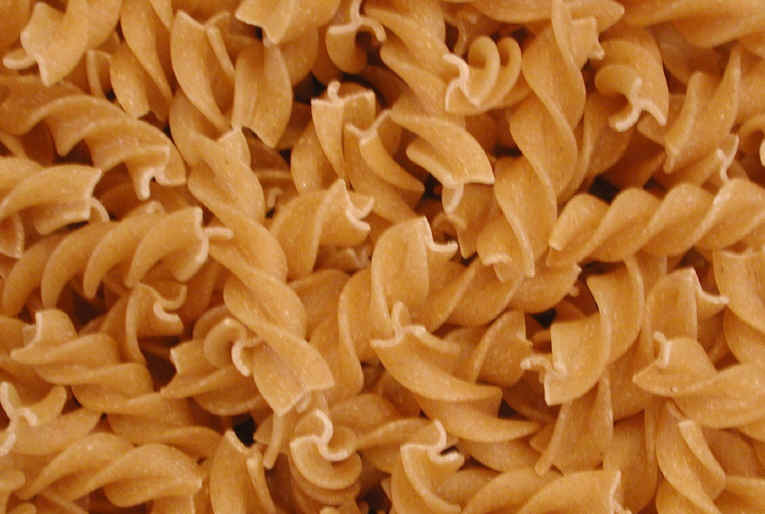 Best Complex Carb is whole grain pasta. When trying to add quality muscle you need extra carbs. So it makes sense to eat foods that are very dense in carbs. Whole grain pasta make a better choice than white flour pastas or semolina because it breaks down slower, supplying longer energy for hard training. Not to mwntion that the nutrient content in a whole grain is much better than semolina or some “refined” flours that have been stripped of a lot of its nutrients. While some things change…some things stay the same! When it comes to liquids water is still going to be the top dog. Whether trying to slim down or add the muscle water still performs a ton of task vital to proper bodily functions. Water helps aid in digestion when trying to build up. 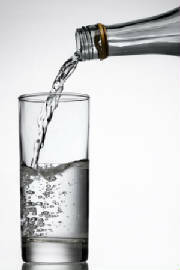 Water also helps nutrients reach muscles easier, which is very vital when taking in nutrients to add size. Sure your trying to add extra calories, so a few drinks with sugar won’t kill you but even when trying to add size an excess of juices and sodas can add extra calories quick. When you get too many of these unwanted calories you start adding the wrong type of weight. There are a few supplements that could have won a place in this category. 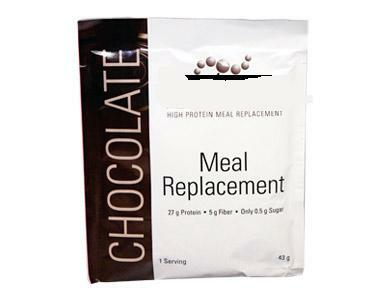 When weighting everything down though the choice would have to be Meal Replacement Powders. Do you know what one of the best anabolic response stimulators is when it comes to building muscle? The answer is quite simply…food. The better you have your overall nutrition under control, the better you can create an anabolic environment for muscle growth. Sometimes it may be hard to cook or transport all the food you may need in a given day. While nothing will replace whole food, a good meal replacement powder can do a great job at helping you get that nutrition in. I am not talking about a lot of the weight gain formulas that you see on the market that supply your body with a lot of empty calories (although some of the formulas are getting better at supplying better overall nutrition). I am referring to a solid meal replacement powder that supplys you with a moderate amount of proteins, carbohydrates, fats, and vitamins and minerals. A good meal replacement powder is relatively cheap, convenient, and will provide a good array of micro and macronutrients for you. Today we looked at seven categories of nutrition and some of the best foods in those categories for adding quality muscle mass. The list will provide you with a lot of helpful suggestions that may improve your nutritional plan when trying to add quality size. Understand however that everyone’s body is different. Some of you may not be able to eat some of the foods on the list or simply may not like some of the foods on the list. Common sense should tell you if your allergic to Salmon don’t eat it just because it made the list. The key is to find what on the list will work for you and use it to start building some quality muscle.